Sunday nights have turned into beauty treatment night at my house! Tonight I tried something new. A couple months ago, I placed my first order from La Vita Lush. 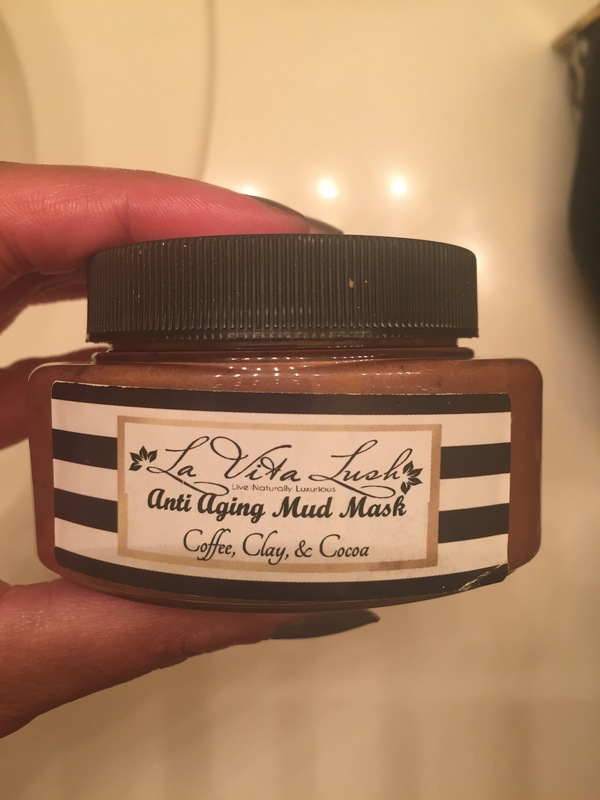 I ordered a body butter and eye shadow, but received a few other products complimentary, including this mud mask! This stuff looks and smells good enough to eat. The coffee smell made me sad that I couldn’t buy my new Keurig this weekend 😔 I ended up having to buy a new vacuum instead, because mine decided to die! Anyway, this stuff smells heavenly. I applied it and then got into the shower, then rinsed afterwards. I love that it has actual coffee grinds (or something that was exfoliating) and I scrubbed my face as I rinsed. My skin felt amazeballs afterwards. I actually want to scrub my whole body in this stuff now! The creator of this line, LeKesha Benson is also from my hometown. So, not only are southern girls cute as a button and sweet as pie, we’re also super talented! 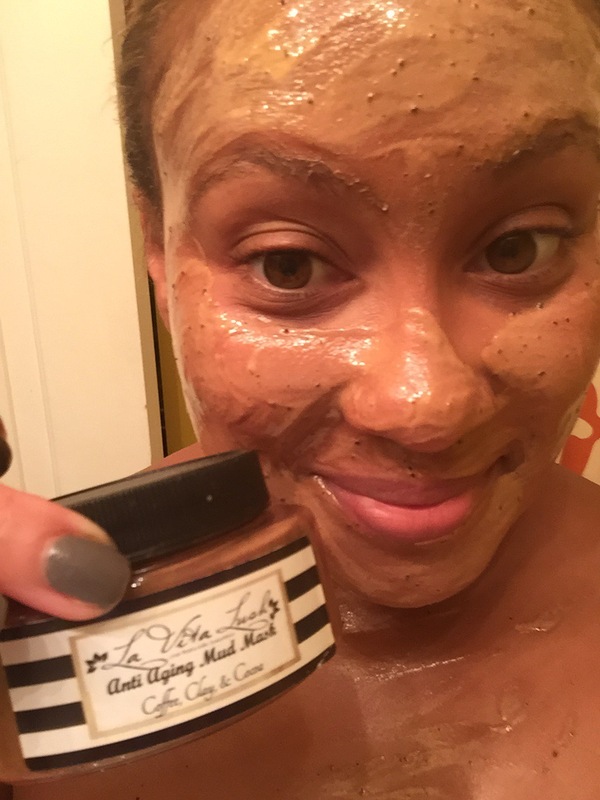 You guys should definitely check her products out! From what I understand, they’re also all natural. 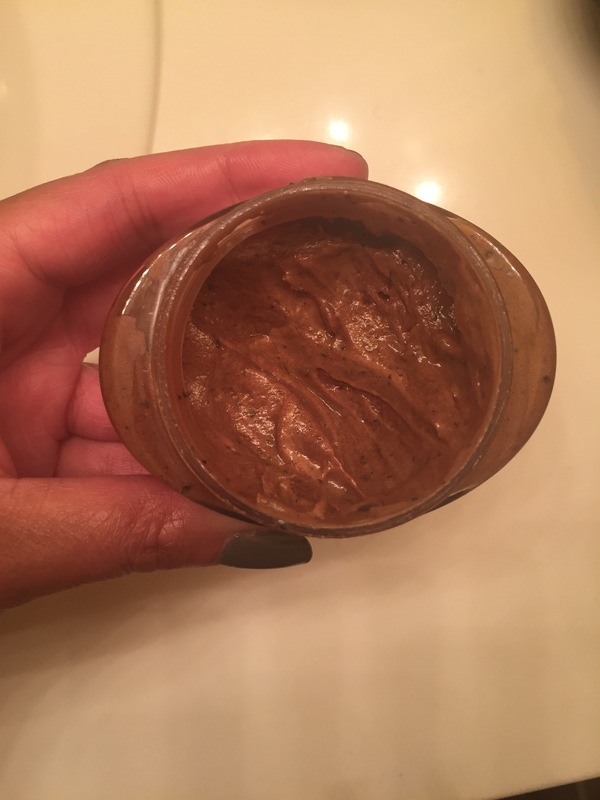 Have you guys tried any good beauty products lately? Do tell!! !